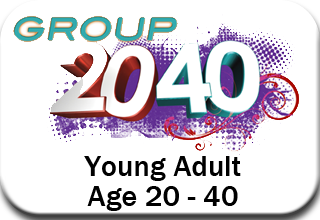 What is Group 2040? Well, it is specifically designed for those in their 20s , 30s, and 40s. We have done different Bible Studies in the past and activities as well. Check back for more information on our next study.